Oh wow, I guess w/ the one from the ticket earlier I can actually LB it later. 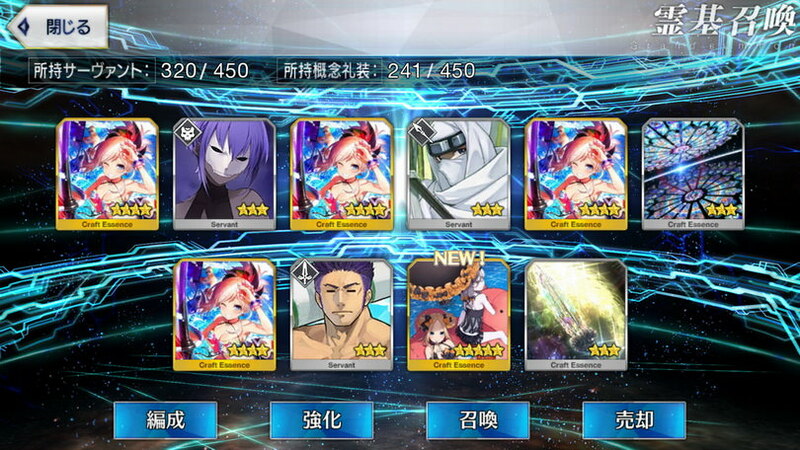 Still no Summer Servants though, still gonna' try. Event wise, I'm still collecting the apples per node. Seems to be unlocking the story naturally enough. I recommend you go for 300K for each item first, you can cover nearly all costumes and extra stuff that only unlocks if you have X amount of doujin items. Once you've done this, just focus on reaching 500K for all of them to unlock the last ones. Once all extra stuff is unlocked, you can focus on one of the items until you get 1M for each. Basically this is the priority if you want to unlock all the new stuff first in case you can't complete the event. If you're not interested, simply focus on your favorite doujin item depending on the items you get in exchange. Thanks. Is there specific nodes that give better currency and points? Check the Visual Drop link for the best nodes (marked in red). 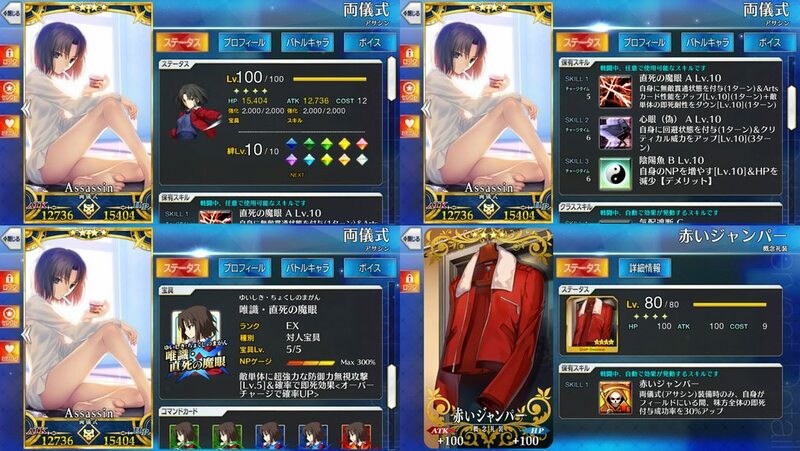 You can also check the Support List link, it gives you a recommendation for Support Servants to make sure you get plenty of FP. Thanks, finally got my groove back today, so it is time to begin the farming in earnest. You should only have problem with wave 3 servants though. The main issue is that, from what ivw seen so far, there are only 2 enemies in the second wave. Really kills the Servant's NP gen. The worst is the rider farming quest in my opinion. 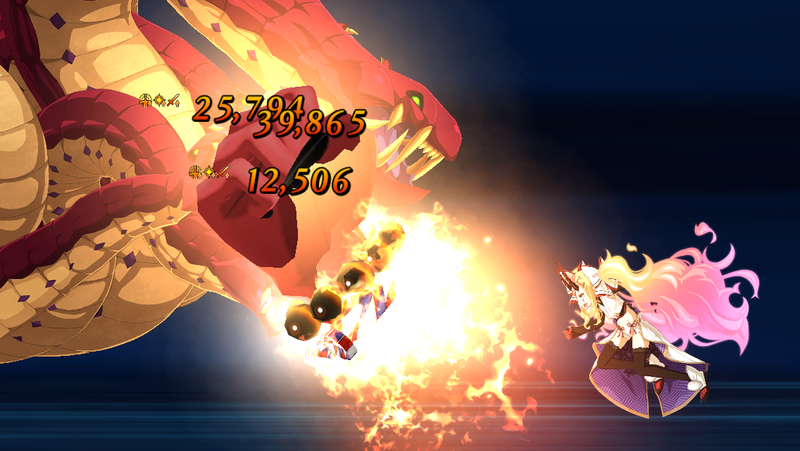 I'm having a lot more fun with Ibaraki's NP than I thought I would. which daily is optimal for blue red gems? I saved up like 400 all exp for this, and filled my storage with random class exp, so that's the only reason I was able to get the new JAlter and Jeanne to max level. still have about 100 all exp left, but I think I'll save them for starting to level BB later. I know exactly who I want to use SR code on and which card. R code is probably going to Okita 'cuz no Jack. And who tf knows what to do w/ SSR code. Only against her elder sister. Jeanne Alter is acting like a sister for Mashu in the main event and tried hard to let Mashu enjoy her time with MC alone since she felt bad for dragging them along for the doujin thing. Apparently Ruler Jeanne also has a new line toward Sieg. I am going purely off of second-hand information but what I heard is that it basically amounts to "Is that-? No I must be mistaken, there's no way he'd be a Servant." Someone please correct me if I'm wrong. Sieg is keeping a distance with Jeanne since FGO Sieg is just a copy. "Here comes the third level! The dolphin, name Leiss shall be the angel, and I too shall transform into this lovely princess version...Ah, this costume is done with reference based on Marie's you know? Even for a country girl like me, in such a princess-like form!" Cute. I guess I have to use her last sprite now. I swear it actually came from Jalter Lily! Seeing how YHVH did it once, I don't know.